Known for designing and creating some of Canada's most prestigious awards - including those presented to our nation's top musicians, members of parliament, scientists, and members of the medical community - Kelly Lowe is an accomplished glassblower, artist, and ambassador for the arts. 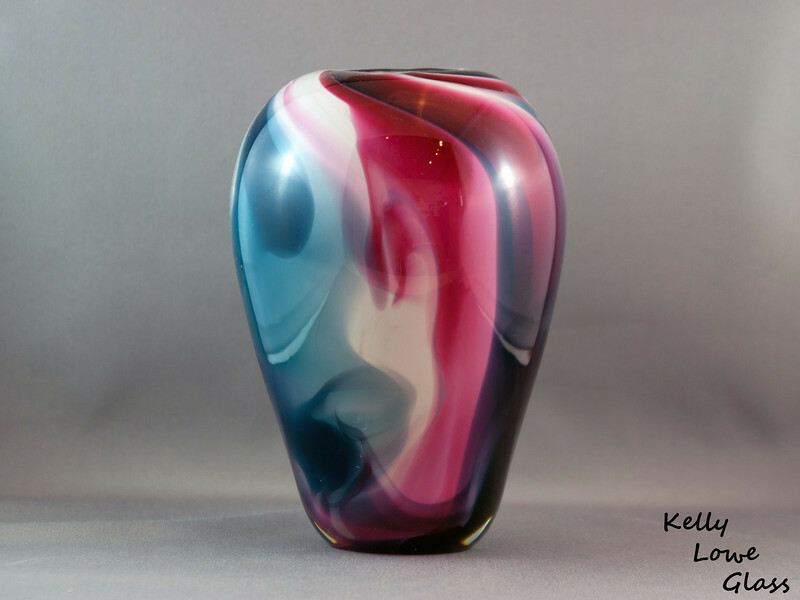 Kelly and her work has been featured in print, on television, and even up on the big screen: starring in Cineplex Entertainment's December 2011 pre-feature film short in which she demonstrates and discusses how traditional blown glass Christmas ornaments are made. This film was estimated to have been seen by 6.4 million people in December 2011 alone, and continued to be shown well into 2012. While Kelly's profile continues to rise she remains true to her first love and passion: working as a local artist within the Hamilton Ontario region. Most of her days are spent at her single artist studio gallery designing and creating world class awards and presentation pieces for the region's many fantastic businesses and organizations, or working on her personal artistic pieces. These include beautiful and unique vases, sculptures, paperweights, ornaments and her popular 'Kritters': imaginative and quirky blown glass creatures featuring the combined physical characteristics of two or more real world animals. These combinations are often hilarious and amusing, and they often turn out to be quite charming and dapper chaps, with an air of stylish sophistication granted them by their signature accessory: stylish blown glass top hats. If you're interested in a piece of Kelly's art, are interested in working with her on a project, or simply have some questions you're curious to have answered, you are more than welcome to drop by the studio, email Kelly directly, or contact her by telephone. Please see her Contact and Studio Location page for the needed contact information. "Thank you for your interest in glass art and for supporting a local artist!"